Heavy Duty Bottle is thick walled, rugged, wide mouth, autoclavable polypropylene bottle with stands repeated application of vacuum. 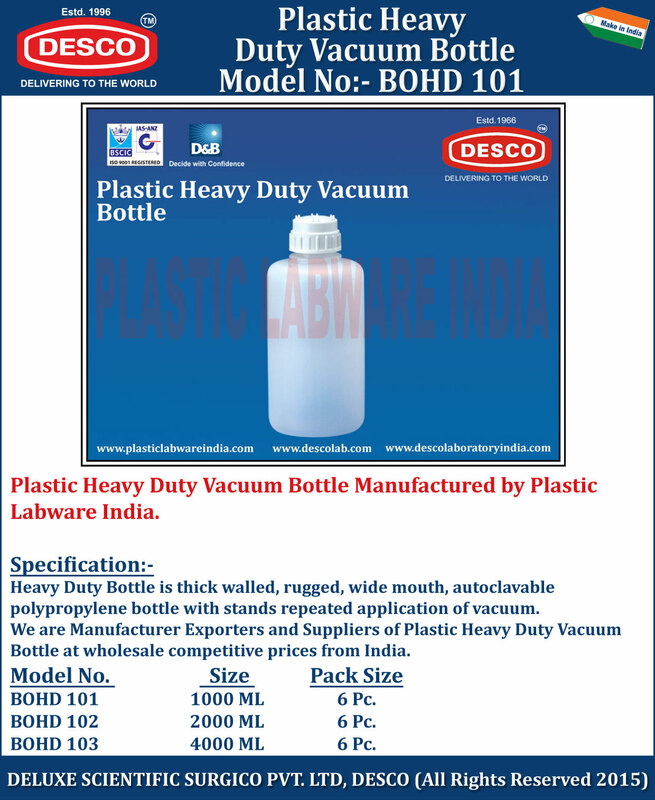 We are Manufacturer Exporters and Suppliers of Plastic Heavy Duty Vacuum Bottle at wholesale competitive prices from India. BOHD 101 1000 ML 6 Pc. BOHD 102 2000 ML 6 Pc. BOHD 103 4000 ML 6 Pc.